Hey there! Was just wondering if kids can start at any point in time, or if there are sessions that go for a certain amount of weeks or months and newcomers wait until a new session opens/starts? Any feedback would be great, I have 2 kids that we are anxious to get them in a martial arts program! Thanks in Advance. I will also call to get all of my facts straight. Thanks in advance! Our After School Program begins again September 8th. Register your child for a great after school program!! Limited space so book now!! 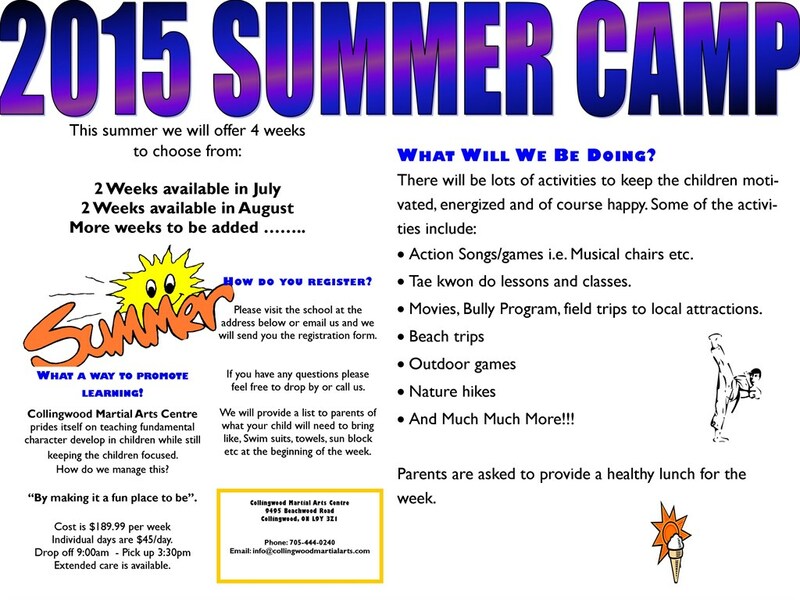 Summer Camp 2015 - Registration now open!! Next power weekend is on Friday July 4th. Come show your support to your future black belts. 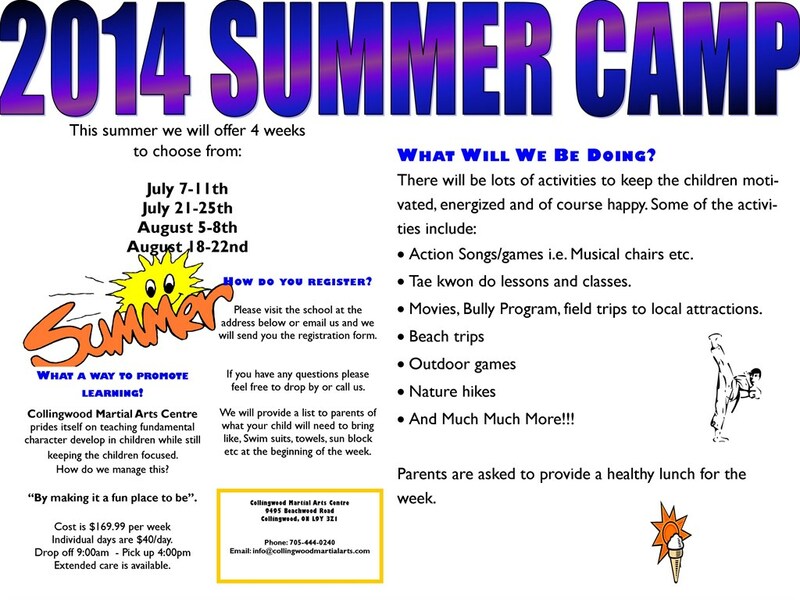 Summer Camp 2014 - Sign up for one or more weeks of summer camp. 4 Weeks to choose from. Lots of fun field trips planned. 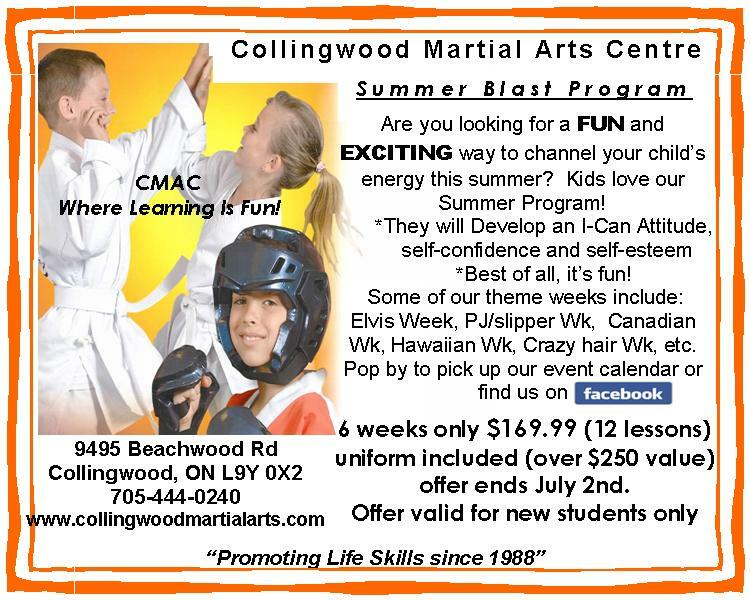 Check out our Summer Blast program. 12 lessons over 6 weeks during the summer. Lots of classes to choose from. 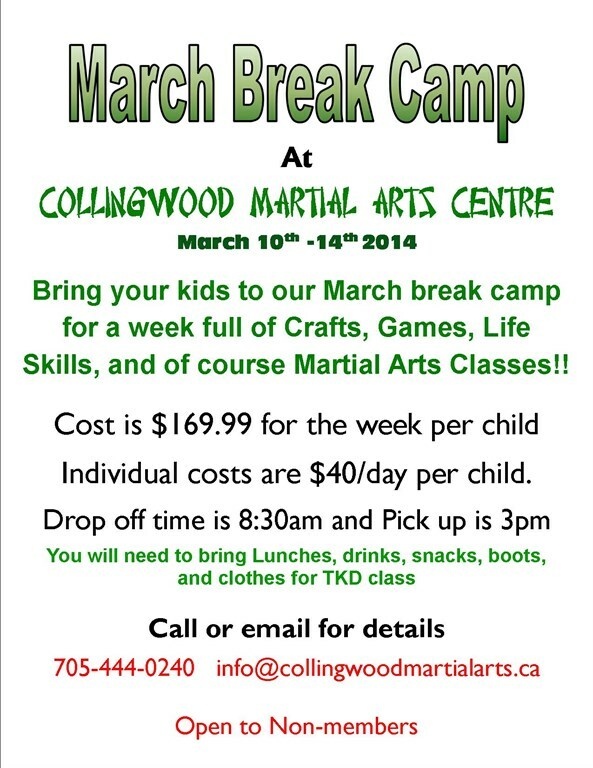 March Break Camp March 10-14. Register now to save your spot! Call the office or message us for more information.